I recently vacationed in Denver and was blown away by how gluten-free friendly the city was. As I always do when I travel, I tried to make it a point to scope out as many gluten-free friendly places I could find. It was extremely easy. One of the best parts of vacationing in Colorado, other than the fantastic scenery and weather, was the wide availability of gluten-free food. I didn’t have to actively seek out gluten-free food because every eatery (coffee shop, deli) that we popped into had gluten-free options. Here’s the roundup of the best, most gluten-free friendly, places I happened to visit during my time in Denver, Boulder and Vail in Colorado. Snooze: I had my first, most favorite, meal in Denver at Snooze. While they don’t take reservations, it is definitely worth the 1-2 hour wait to get a table for brunch. Snooze has a few locations throughout the state, and tons of options for gluten-free and vegetarian eaters. The servers wear bright clothing and smiles. They have a creative list of brunch cocktails and an even more creative list of omelets and add-ons. Snooze is a must if you love brunching on weekends. Pablo’s coffee: One of the first craft roasters in Denver, we stumbled upon this coffee shop shortly after eating brunch at Snooze. Located right outside of the Baker neighborhood, this small cafe is a must-see for any artist or coffee-shop lover. When I arrived, there were three different artists working on large pieces splayed across multiple tables; it is clear that artists are welcomed guests at Pablo’s. 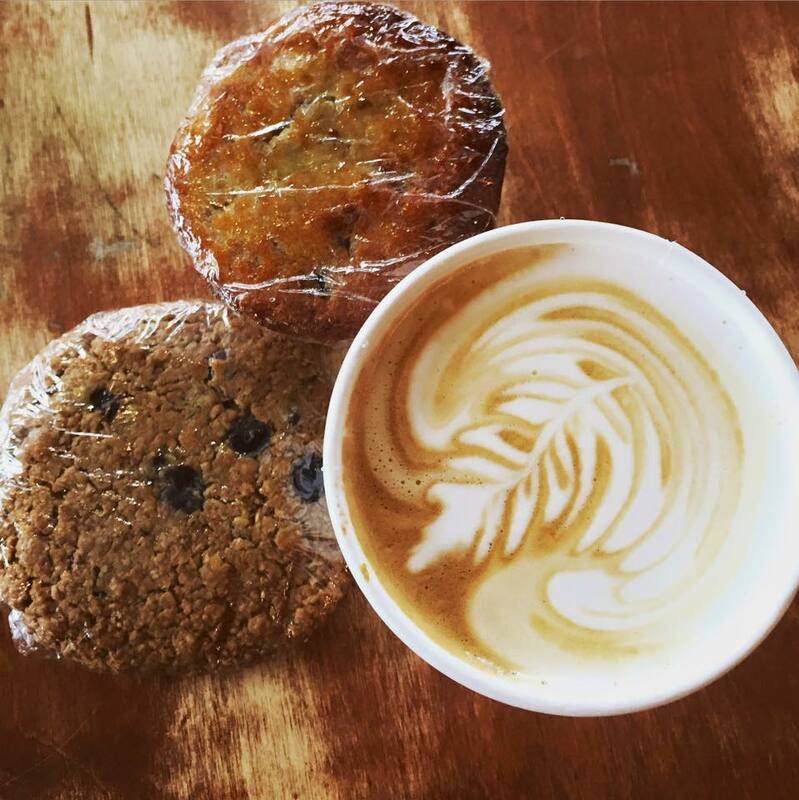 I treated myself to a delicious latte shortly after finding my favorite kind of cookie AND muffin for sale: oatmeal chocolate chip and banana chocolate chip. Fat Sully’s: This laid back, late-night, pizza joint has been featured on Diners, Drive-ins and Dives. It has a great atmosphere and customer service and seeing as it is open late and located in prime spots of the city (multiple locations), it’s a great place to go for a late-night slice. For the gluten-free eaters, they serve an awesome 12″ pizza that tastes like it’s made in-house; it has a real crust! Not to mention, Fat Sully’s (at least the location I visited on Broadway St.) has games like Monopoly and Clue available to play while you eat and wait. Europa Coffee House: Located in the heart of the Baker neighborhood in Denver, this cute cafe has a ton of options for breakfast and lunch. They also make a mean iced vanilla late. I was surprised to find gluten-free English muffins and toast on the menu. The English Muffins were the best I’ve ever had; so much so, that we stopped by this little eatery twice. Roostercat Coffee House: We stopped here for a quick bite and coffee on-the-go before heading to Boulder for a hike. I was surprised to find a wide variety of options, including gluten-free bread for sandwiches. When I arrived, there were a number of people there; one couple was playing chess, another was working on a business plan and another was an artist working on a sketch. Roostercat Coffee House seems like a great place for those who work remotely and/or are looking for a warm, inviting atmosphere without much noise or distraction. Modmarket offers gluten-free diners the option of getting any sandwich or wrap made gluten-free. 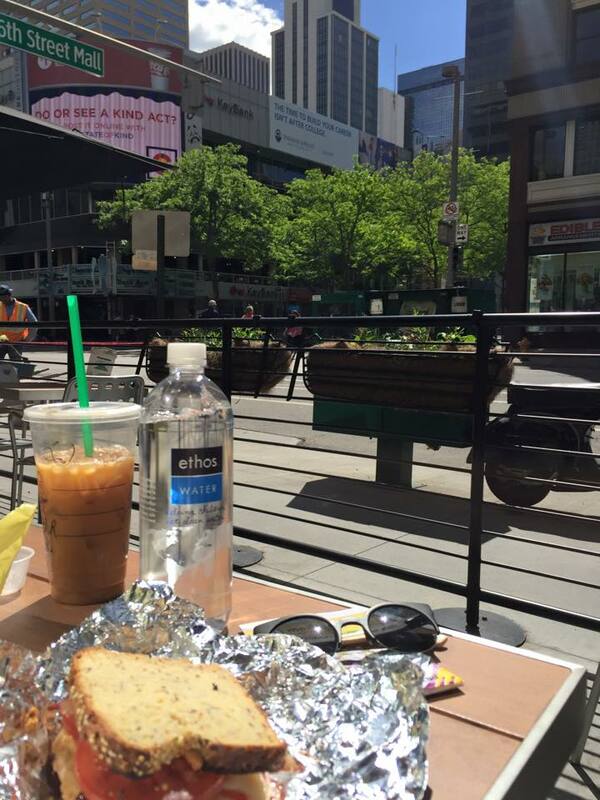 I fell head-over-heels here as I devoured my first, real gluten-free breakfast sandwich. 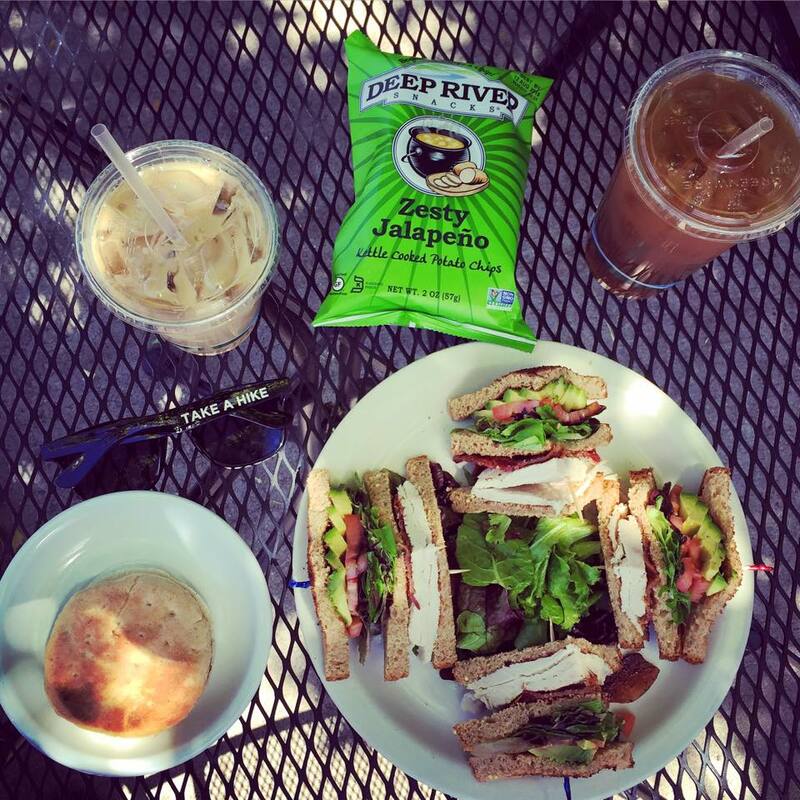 Yeti’s Grind: This cute little cafe is a must-see if you’re in the Vail area. It’s located right in the heart of Vail Village. It has great music, comfy chairs and a friendly staff – and incredibly unique drinks. Their latte menu is especially impressive and features a wide variety of flavor combinations. 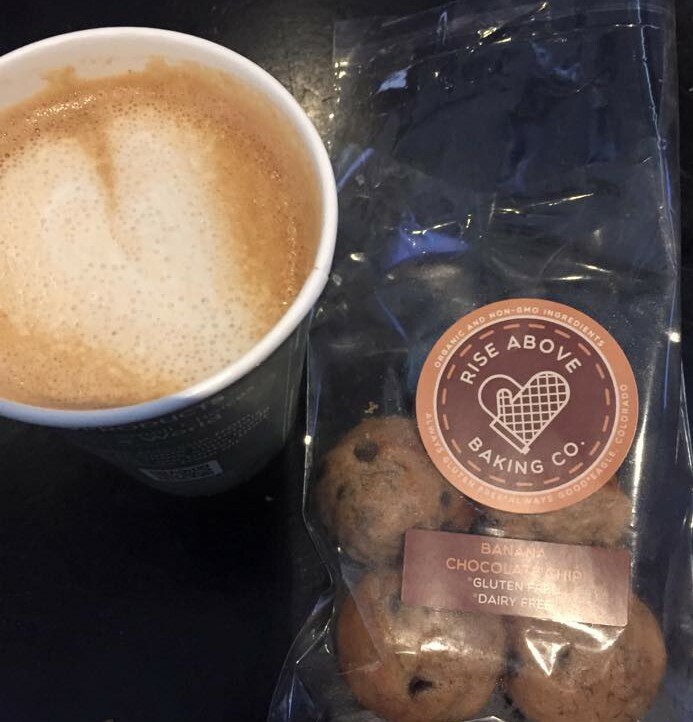 Plus, they serve gluten-free mini muffins (the best I’ve ever eaten, made by Rise Above Baking Co), as well as cookies and breads. Do you have any gluten-free friendly eateries in Colorado to add to the list? Please comment below and share them!